The first blog post of the season is fittingly from my last photo session of 2018! 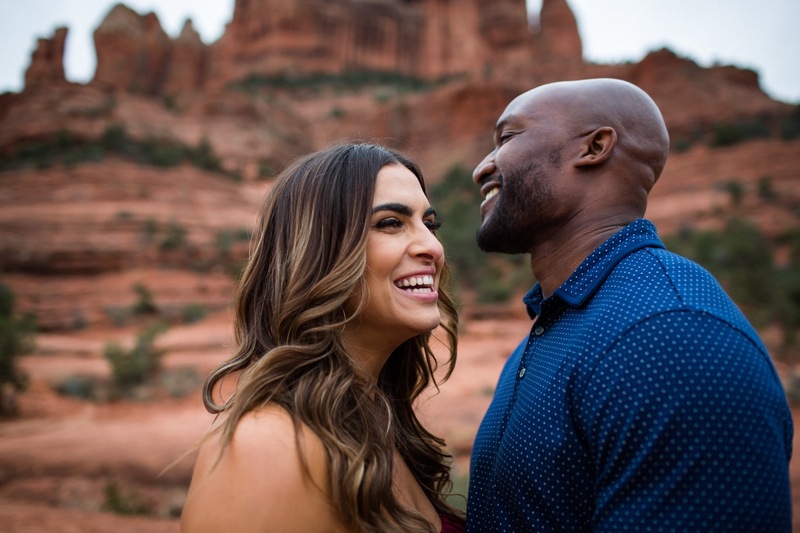 Jordan and Seyi are having a destination wedding in Arizona and chose Sedona as the perfect backdrop for their engagement photos. They are the kind of clients that make my job incredibly inspiring and fun. Every second I spent with them was fun and made me want to work every possibly corner of my brain to make the best images for this incredible couple. My cheesy jokes got great laughs and we all had a blast thanks to Jordan’s sister Alexandria. She provided great music and constant hair perfecting. 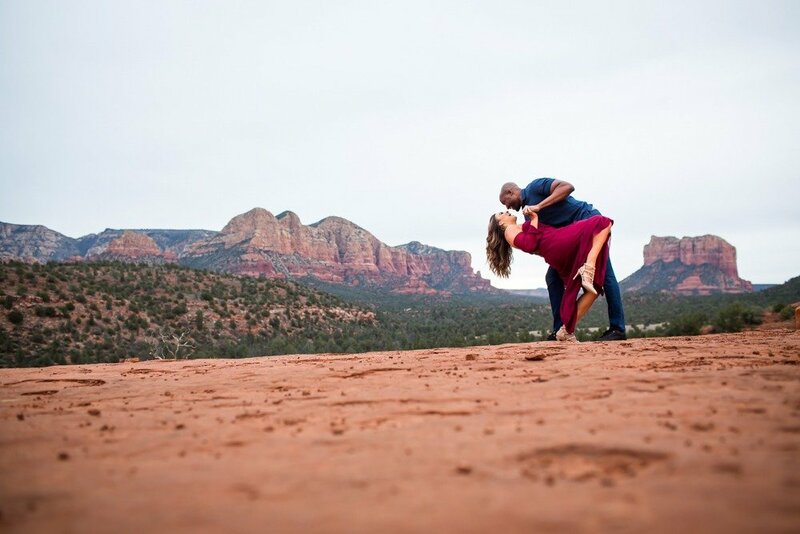 Jordan and Seyi, thank you for choosing me as your wedding photographer- I can’t wait for your wedding!! Makeup by Kimberly at The Glam Refinery.